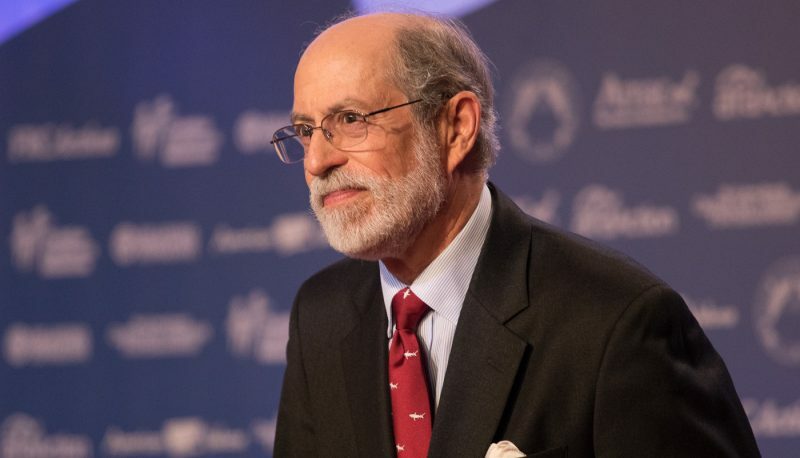 Anti-Muslim activist Frank Gaffney used his “Secure Freedom Minute” podcast on Thursday morning to urge prayers for Supreme Court nominee Brett Kavanaugh, whose nomination is being pushed forward by Senate Republican leaders in spite of allegations of sexual assault and evidence that he lied under oath. A national day of prayer for this good man to become our next associate justice has been scheduled for today. Judge Kavanaugh is an exemplary all-American who has for decades honorably and faithfully served his community, country and God. Those who have tried to destroy his reputation and nomination have been exposed as unfair, dishonest and obsessed with power at any cost. Some have gone so far as to put at risk senators who disagree with them and their conduct. Gaffney’s group, the Center for Security Policy, has been designated an anti-Muslim hate group by the Southern Poverty Law Center. During this year’s Conservative Political Action Conference, the group hosted an event at which panelists discussed how to get Muslim immigrants and “fake refugees” to leave the U.S. Religious Right leaders and “intercessory prayer” activists have rallied around Kavanaugh, who they are counting on to provide the deciding vote to overturn Roe v. Wade. Religious Right leaders have portrayed the confirmation struggle as “a battle between good and evil,” declaring that opposition to Kavanaugh is being directed by Satan himself, by demonic forces, by the spirit of Jezebel, and even by the wicked witch of the east.